I love this city. We love art here and we love bikes and we love art inspired by bikes. 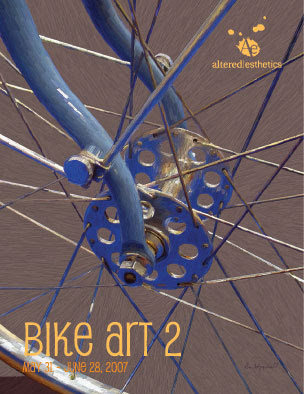 I have work in the second annual Bike Art Show at altered esthetics. You can see some photos of the prints I have in the show here. They are super-girl-y. It just keeps getting worse. I can't explain it.